Did you know 10 to 15 percent adults grind their teeth at night? The medical term for teeth grinding is bruxism, which is an issue oral problem address at Modern Family Dental Care. Teeth grinding generally occurs subconsciously during sleep. If you are experiencing symptoms that could be from teeth grinding, Modern Family Dental Care is here to help. What is the solution for teeth grinding? First, it’s important to understand the symptoms of bruxism. If your jaw muscles feel tight, you are experiencing pain in your face or a dull headache in the morning, you may be suffering from teeth grinding. The best and most effective way to address teeth grinding is to use a mouth guard. However, there are additional solutions for teeth grinding that your dentist can discuss with you. Causes of teeth grinding include stress, anxiety, sleep apnea, crooked teeth and an abnormal bite. For people who are grinding their teeth due to stress or anxiety, reducing stress may alleviate the problem. If crooked teeth or an abnormal bite is the cause of bruxism, aligning teeth may be a solution. A mouth guard also provides an affordable, effective solution to bruxism. Crooked Teeth. Did you know your teeth form in pairs? For example, each upper tooth has a “matching” lower tooth. When teeth are crooked your mouth attempts to align the best it can, which can lead to grinding. Often, the best solution is to straighten and align your teeth with Invisalign. Modern Family Dental Care understands teeth grinding can be uncomfortable and frustrating. Our dentists are dedicated to helping you pinpoint the cause of your teeth grinding and fit you with a customized night guard to provide relief and preserve your oral health. 1) How are mouth guards made? 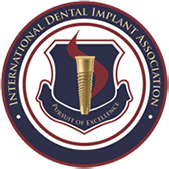 Our Charlotte dentists will take an impression of your teeth. This ensures your mouth guard is precisely made to fit your mouth. 2) Is damage from teeth grinding reversible? Unfortunately, jaw and tooth damage can occur from bruxism. These things may be irreversible. If you think you may be grinding your teeth contact Modern Family Dental Care to schedule an appointment. 3) Are mouth guards uncomfortable? A mouth guard that is fitted to your mouth should not cause any discomfort. However, it may take time to get used to the mouth guard – This is normal. 4) How long do mouth guards last? A mouth guard can last anywhere from 12 months to over five years. 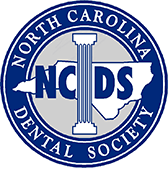 Our Charlotte and Concord dentists are can help identify the cause of your teeth grinding and provide dental solution. Contact us to schedule an appointment now.